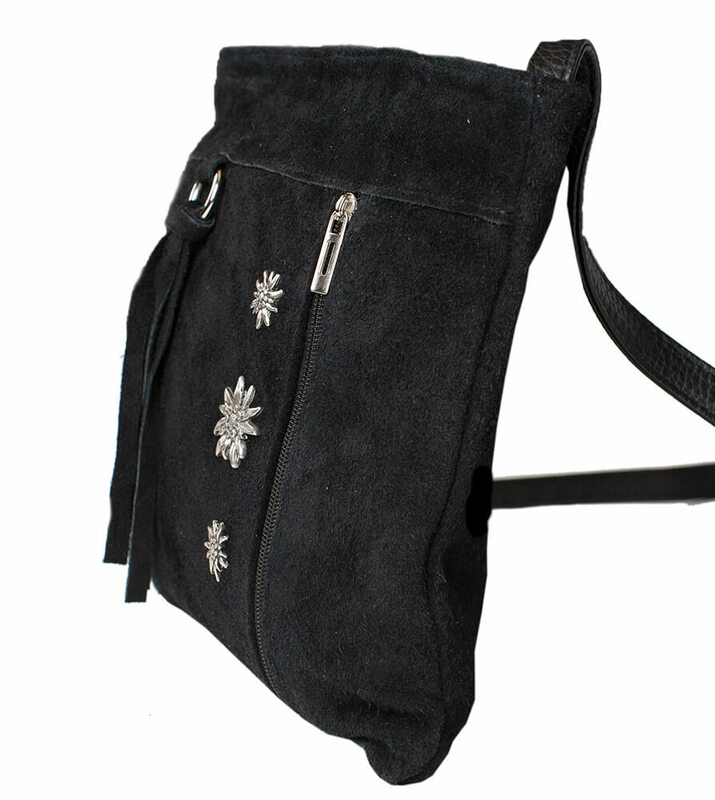 Women’s black Dirndl shoulder bag. 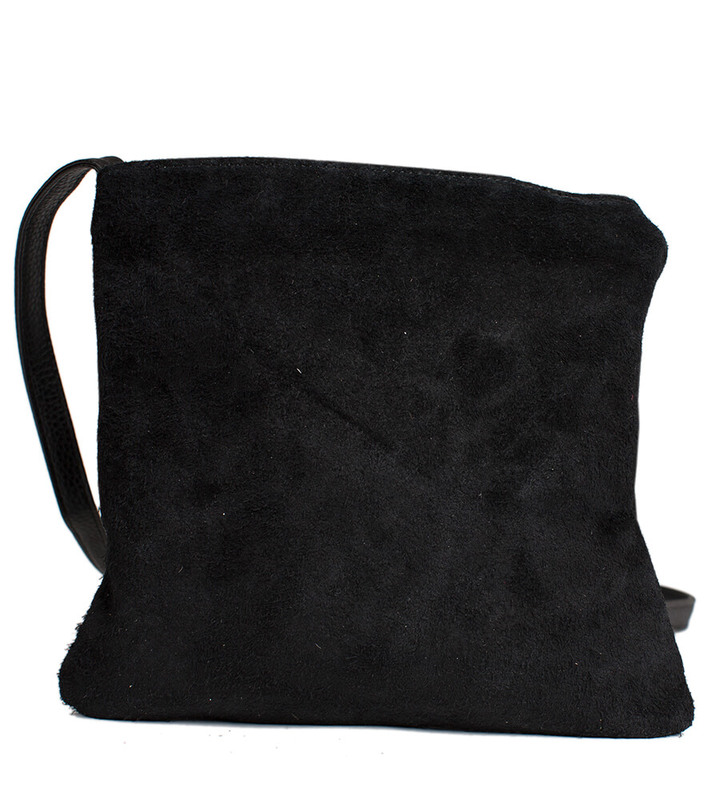 You will be ready to face any occasion when you step out with this black leather shoulder bag. 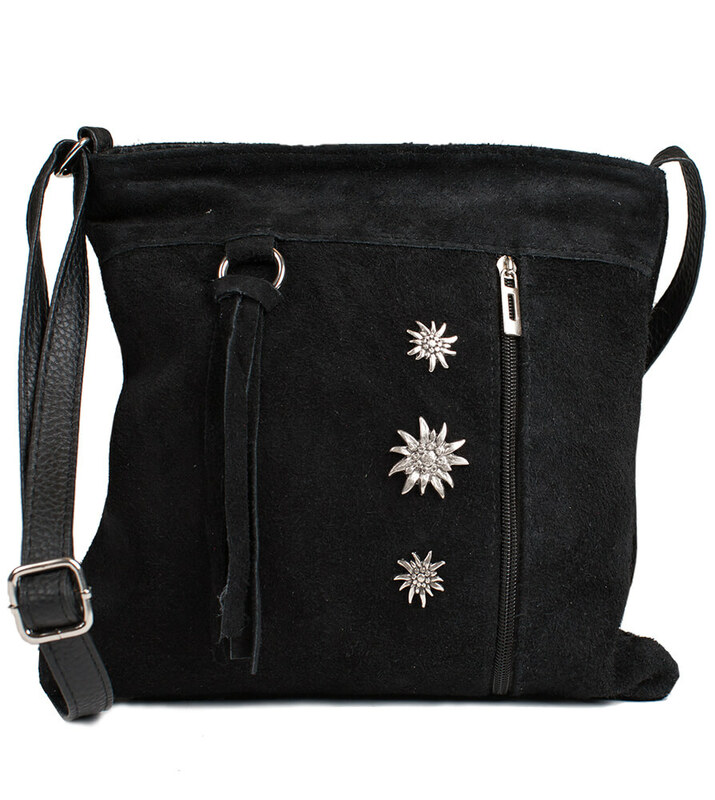 The durable black leather strap can easily be adjusted to the desired length, while the bag comes with a separate pocket on the outside and the look of the bag is completed with a row of three contemporary star designs that really make it stand out from the crowd. Niedliche kleine Trachtentasche, Reißverschlüsse leichtgängig, Größe für die wichtigsten Dinge ausreichend. Top wäre es, wenn das Futter nicht Plastik, sondern Baumwolle wäre und deshalb auch nicht rascheln täte.